"I've learned from experience that if you work harder at it, and apply more energy and time to it, and more consistency, you get a better result. It comes from the work." While sometimes restaurants can piss you off, let you down, or even break your heart, there are still restaurants out there that come through time after time. Park City, Utah's Riverhorse on Main is such a restaurant. I know, I've gone on about the wonders of Riverhorse before, but I'm making a point. That point is that, while it is hard work, being consistent in food, atmosphere, and service goes a long way to making happy, returning customers. Full disclosure: I'm no Yelpless Yelper, but I have created Yelp accounts over the years to help out, for example, an auto body shop that did me a big favor. Having been unfortunate enough to have been suckered into the long con that is Yelp for years, I also wrote some (deservedly) bad reviews in the hope that my good review of the auto body shop would stick. 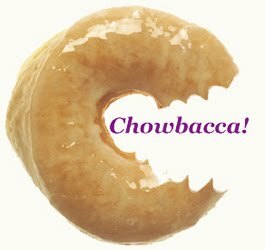 That said, while I do blog about exceptionally bad experiences, there are more positive reviews here on Chowbacca than negative. Having been a part of a few service industries, both as part of the problem and part of the solution, I think that I have a well-rounded point of view as well as a capacity to understand why bad things happen in good restaurants. I forgive a lot more than some whiny, entitlement-snot Yelper will forgive. In fact, until this moment I have never mentioned the month+ of Mondays I spent trying to get a simple large, thin crust half cheese, half mushroom and onion pizza out of a local restaurant for game night with my family. One pizza was cold. Another pizza was covered in sausage. Once there was a inedible quantity of cheese on the pie and another time the crust was thick, gooey, and half-cooked. They even burned one, of course, but because they made things right every time I kept going back. If they'd have put the same effort into making it right in the first place I wouldn't have had to throw in the towel after spending Monday after Monday waiting 45 minutes for a fix on what should have been a 10 minute pie. The funny thing is, they were consistent. They were just consistently bad at making a good pizza the first time. You'll note, however, that they weren't bad enough for me to call them out. I just gave up on them after a reasonable number of chances. 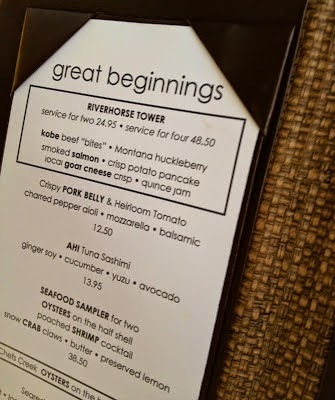 That, friends, is why Riverhorse on Main is important and will continue to earn my dining dollars every time my family and I are in Park City. The food is always top notch, the service is efficient and personable, and the wine and cocktails are dandy. They even have extras like a beautiful dining area and an entire menu dedicated to vegetarian options. Have there been little missteps? Of course. Has there been a swift and sincere fix with a proper apology? Of course. In kind, I show my gratitude throughout the meal, unlike three generations of ingrate yokels at the next table recently, tip generously, and continue my patronage. Park City restaurants Riverhorse, Prime, and J&G Grill get this, while places like Grappa either don't get it or don't give a damn. Guess where my money will be spent? Guess where it won't?